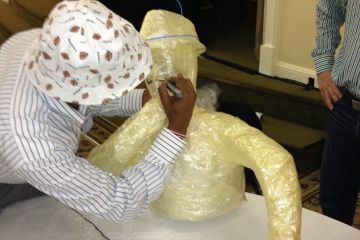 Team get hands on to create a life-size model capturing a moment in time. 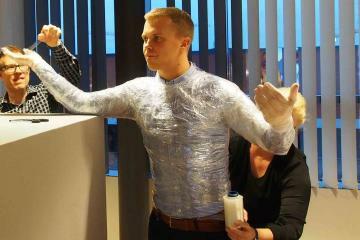 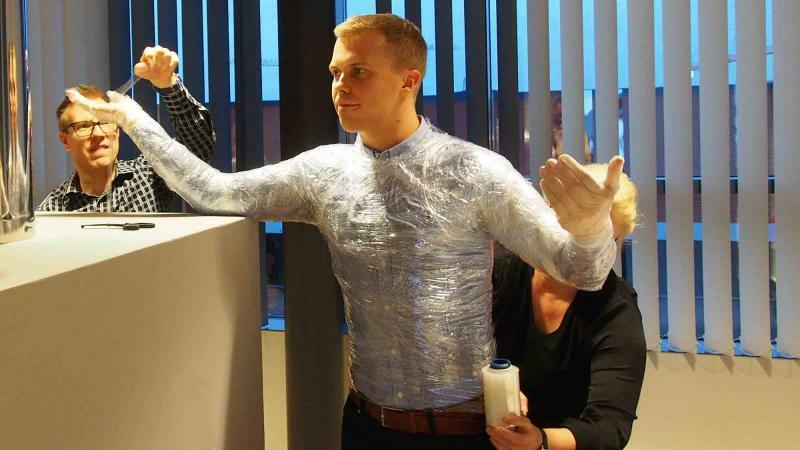 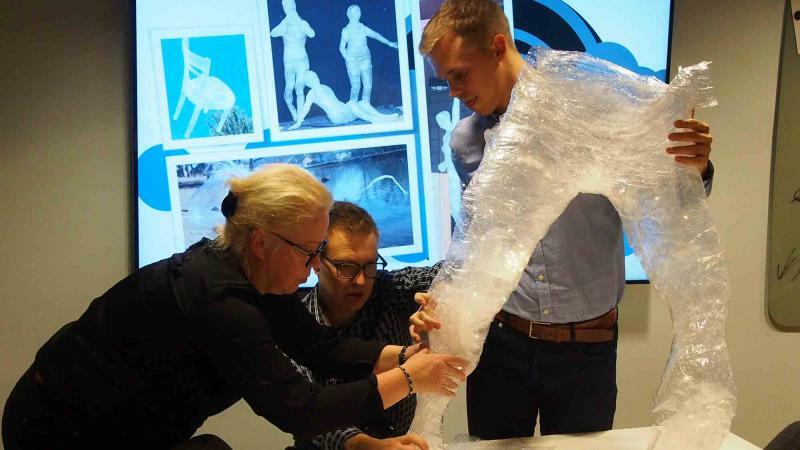 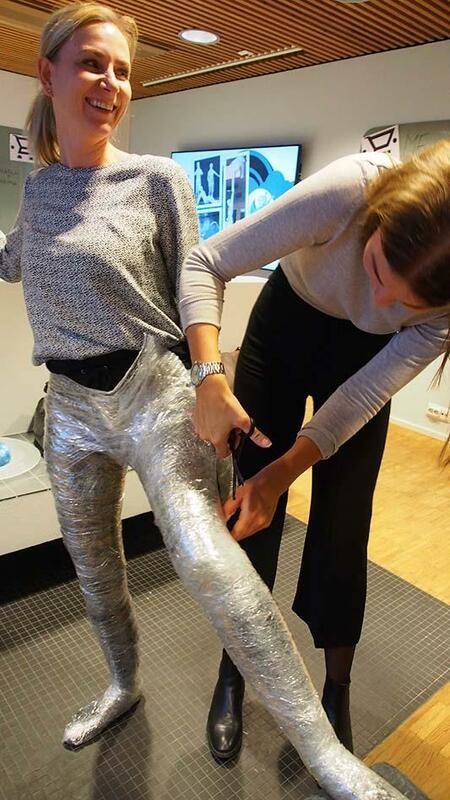 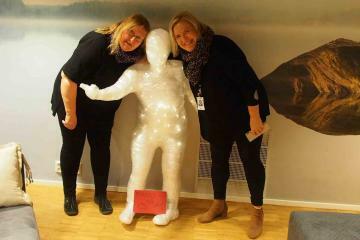 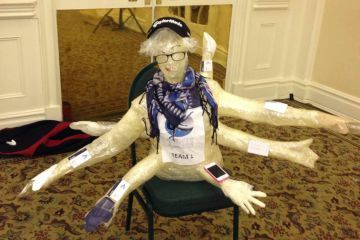 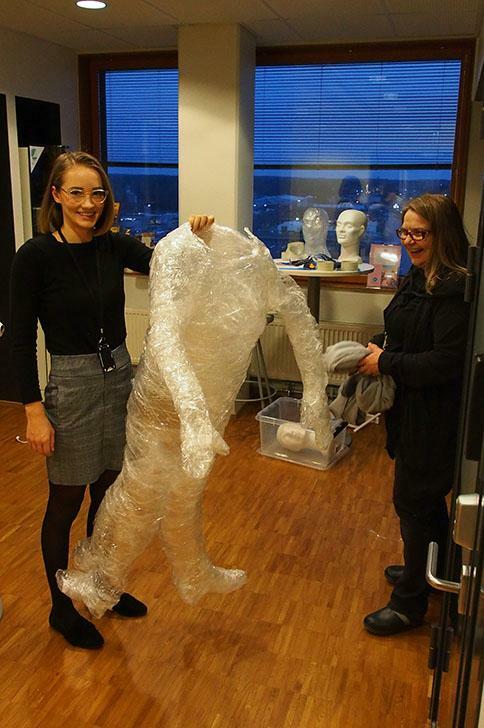 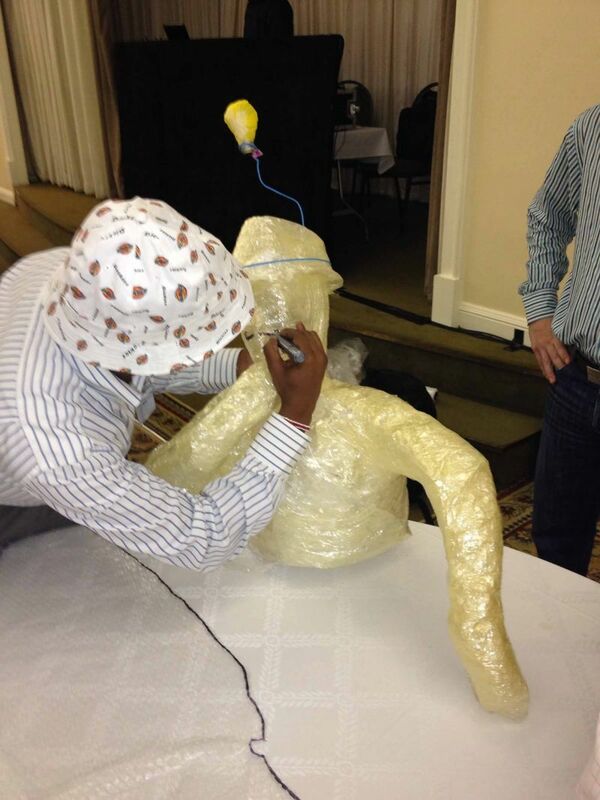 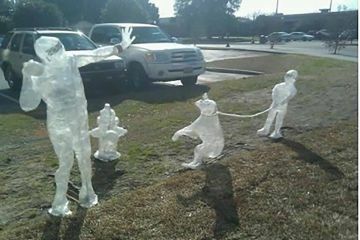 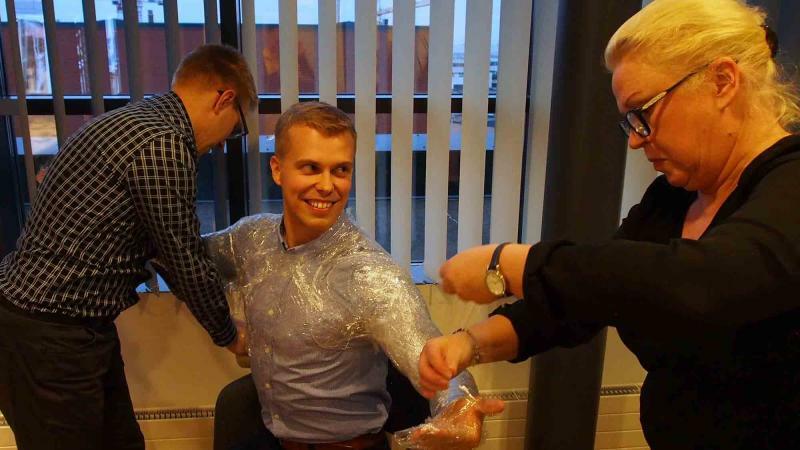 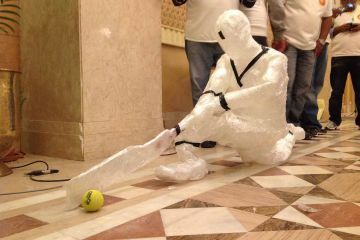 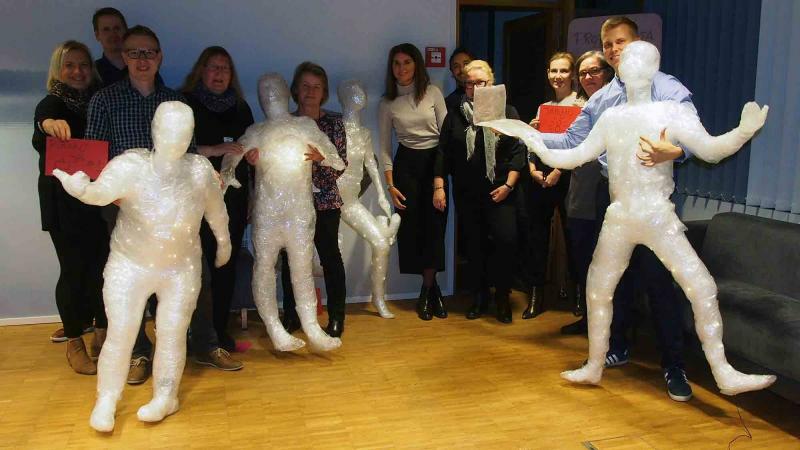 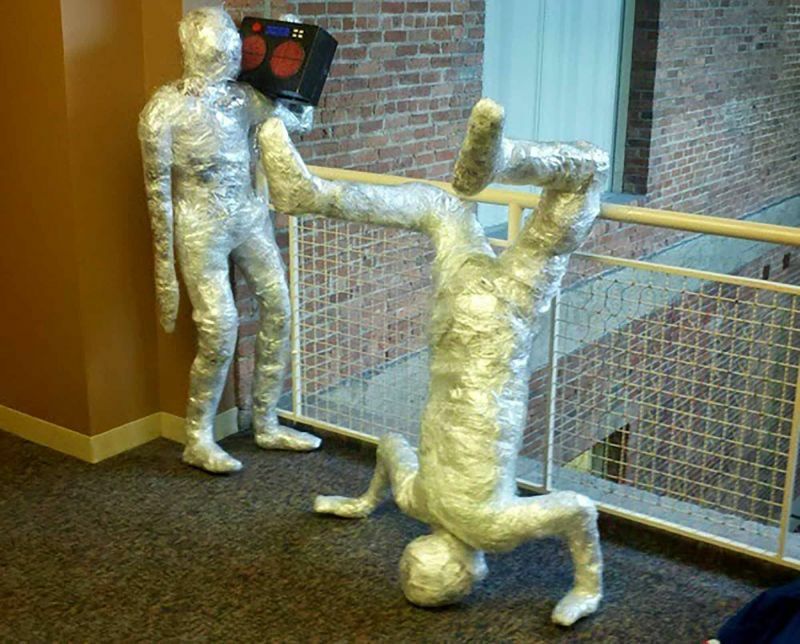 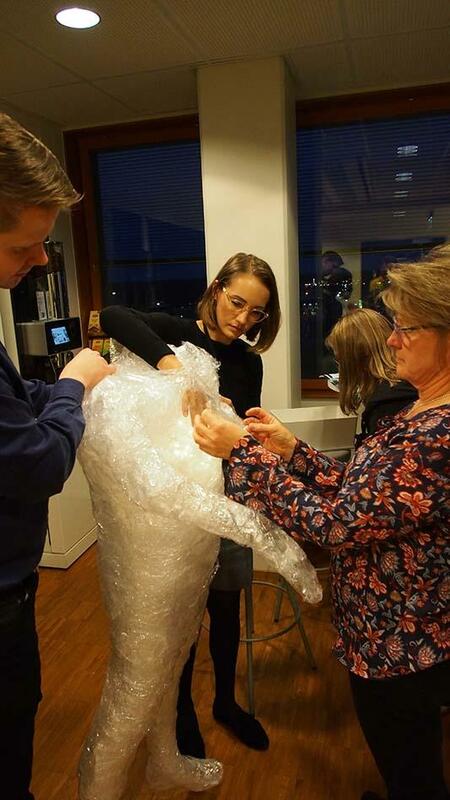 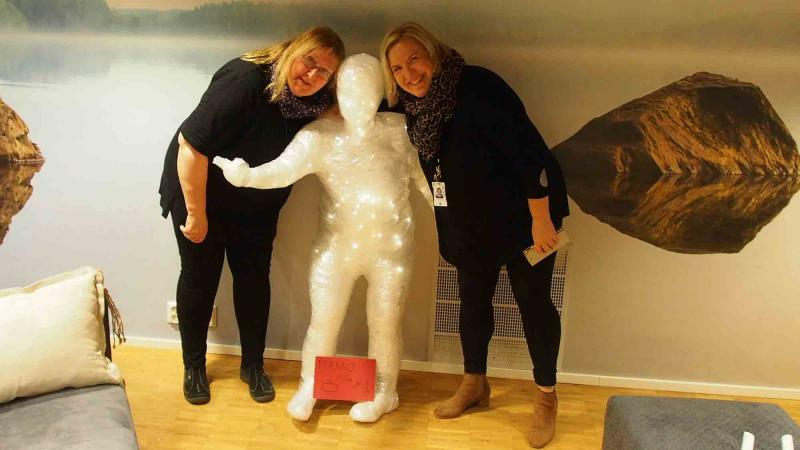 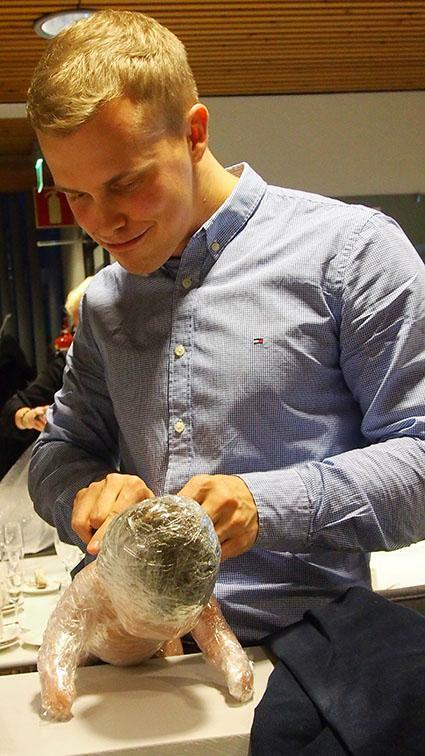 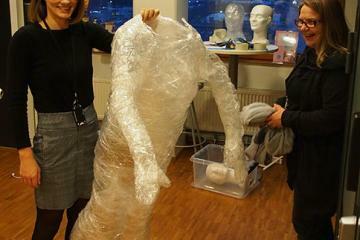 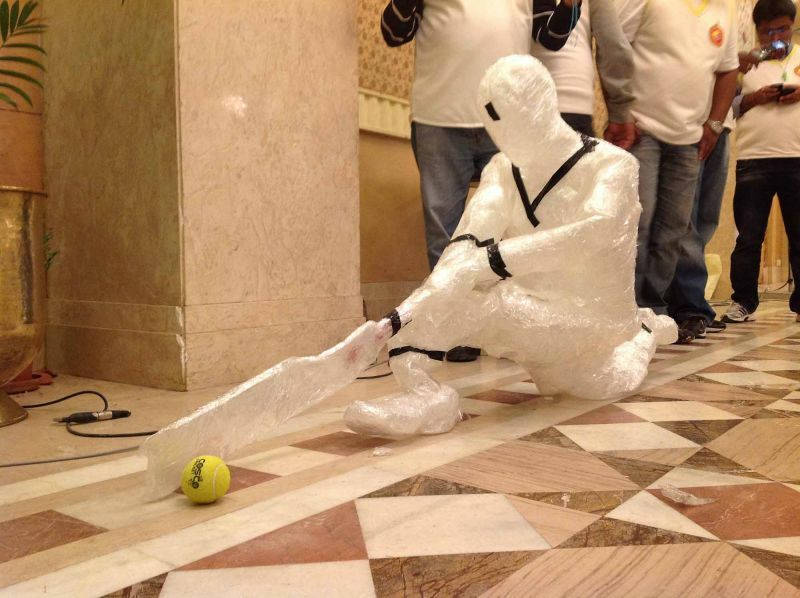 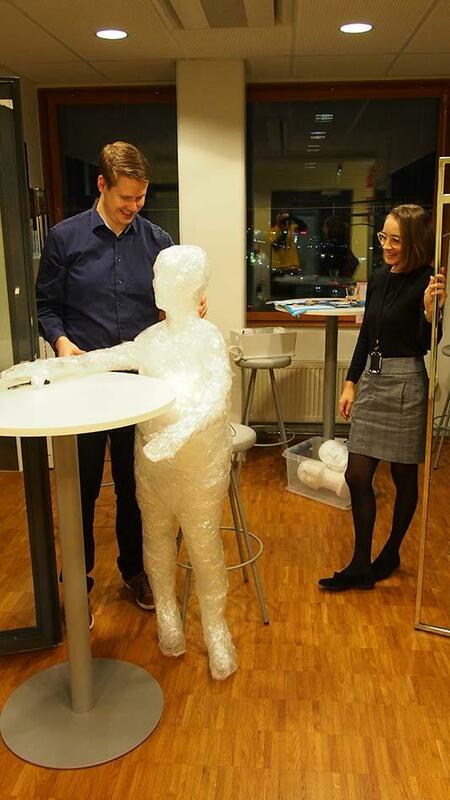 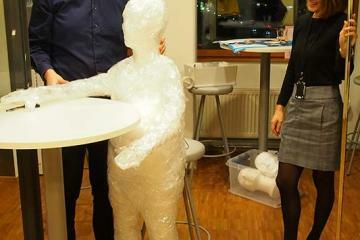 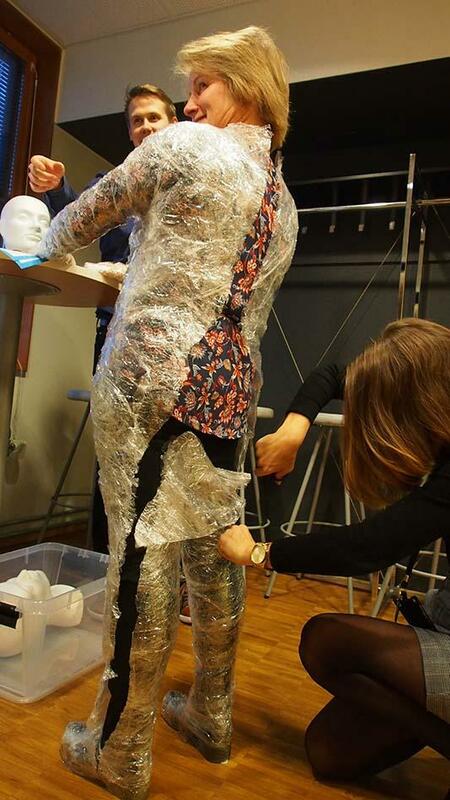 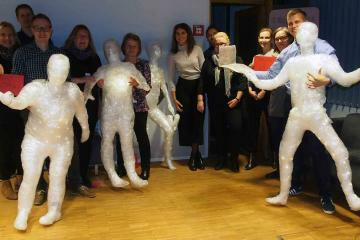 In Time Bound, teams use simple materials, just clear duct tape and plastic wrap, to create a life size human form of a designated team member. 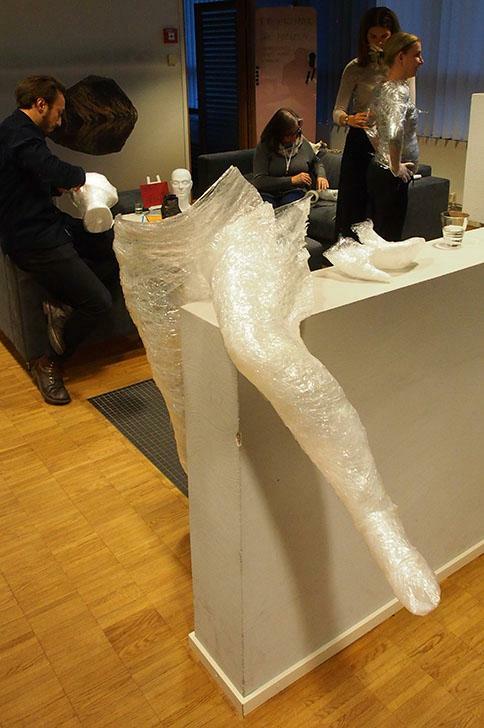 Before they commence they must plan and design the final artwork which must be in line with a given theme. 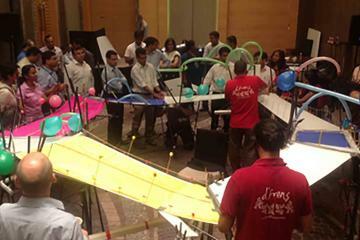 It will need to combine with the figures of other teams and collaboration will be required. 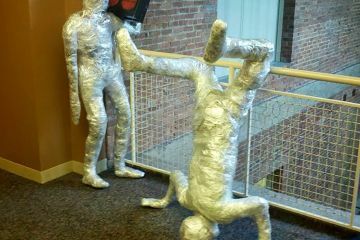 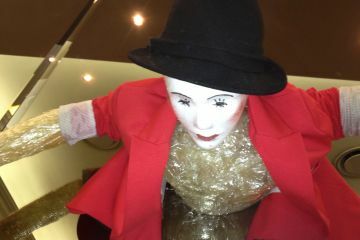 Once they have created their life size human form they join their ‘time bound’ human statues into their installation. 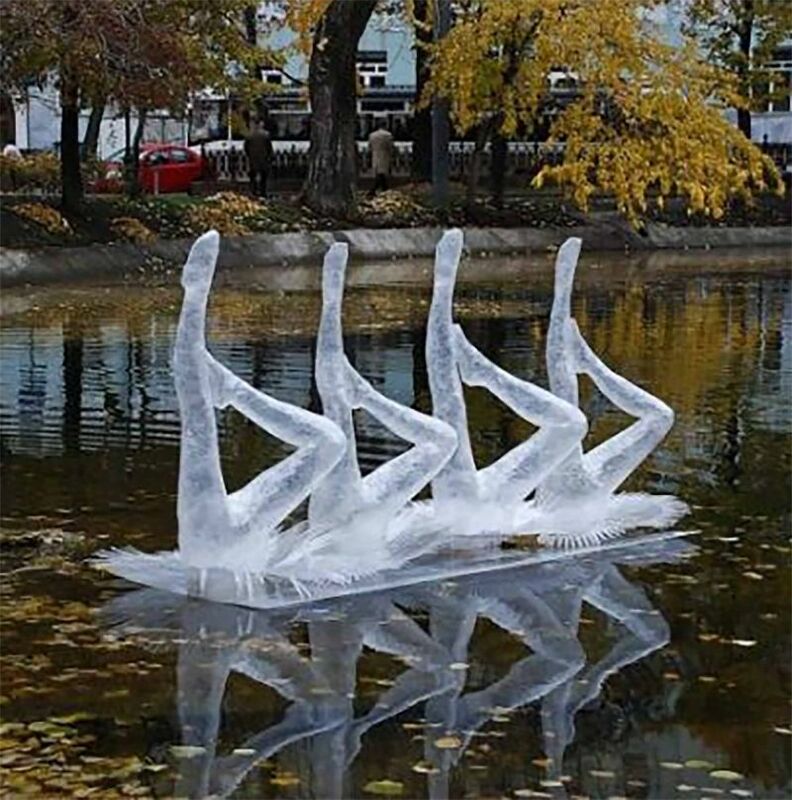 After creation, the installation can be assembled and photographed in a public space, adding to the fun. 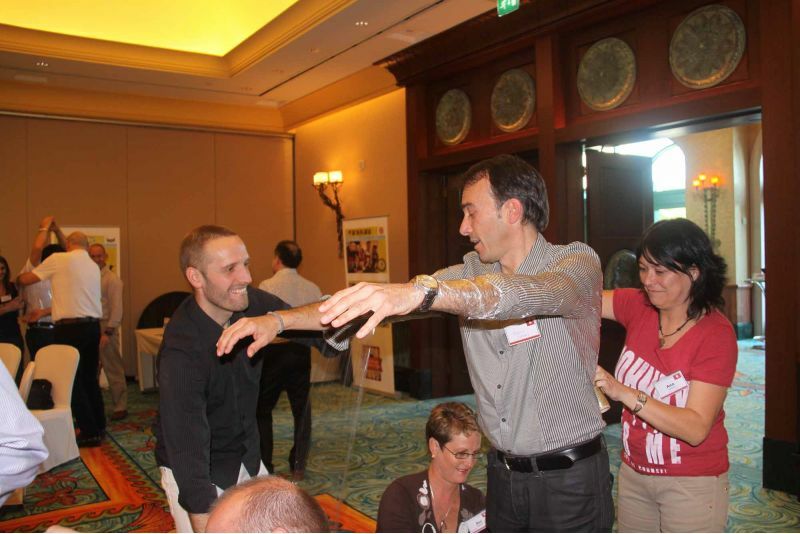 Time Bound is a fun shared experience which will have delegates smiling and laughing. 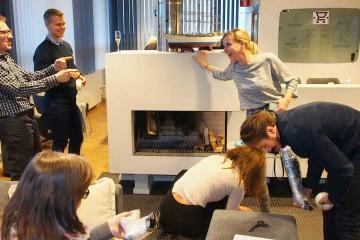 Its informal nature enables participants to let their creative ideas roam. 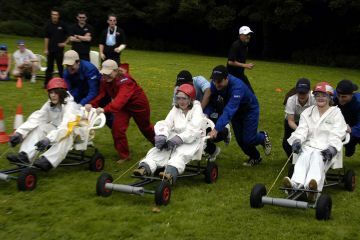 Teams need to collaborate, communicating effectively with each other in order to achieve a successful final result. 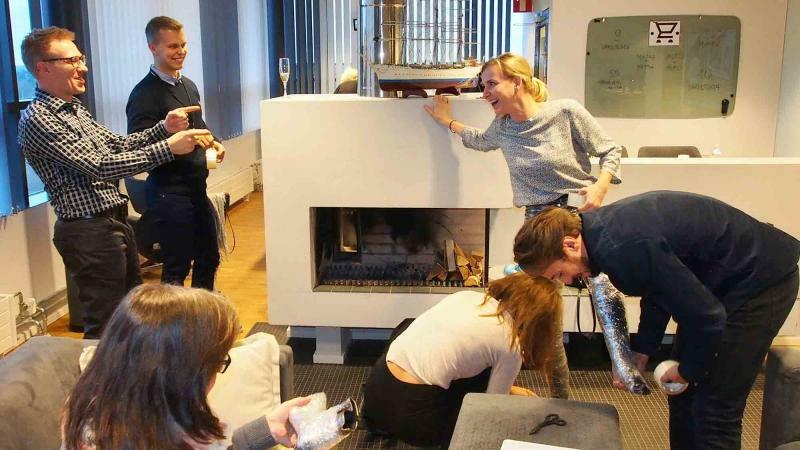 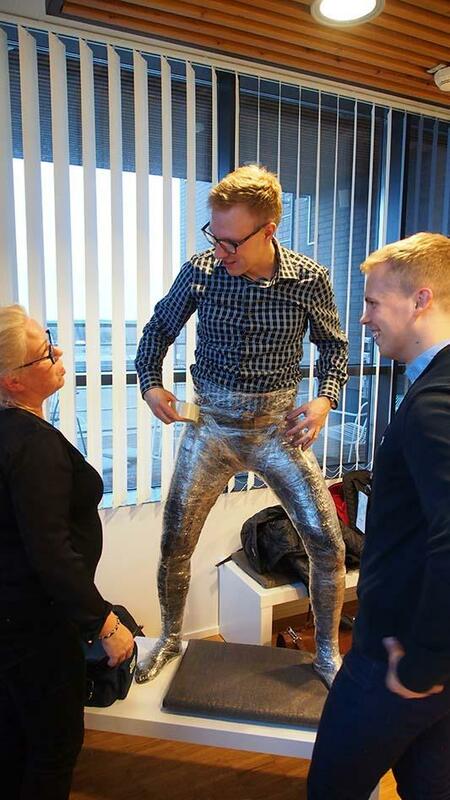 Teams can consist of staff from all levels transcending company hierarchy enabling them to relax with each other as they join in the hilarity of this tactile event. 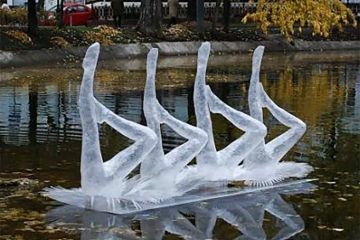 Just as the name suggests, Time Bound literally binds people together. 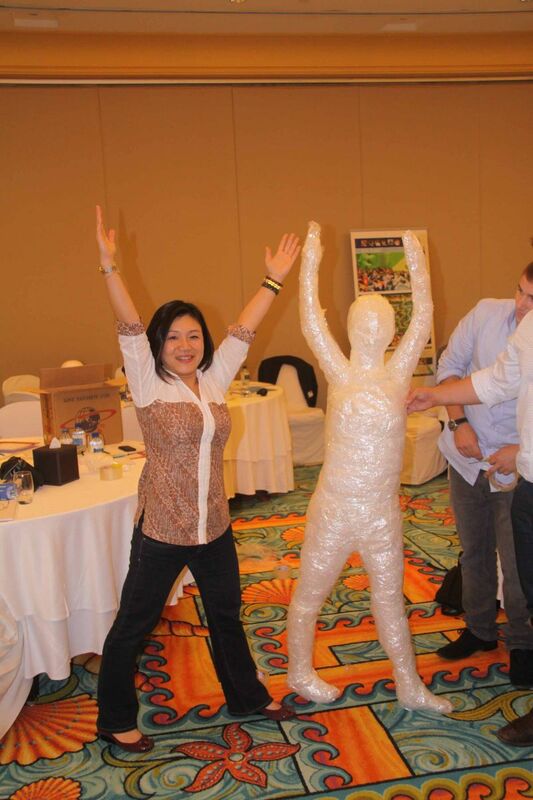 Thank you for once again a very professional team building event thoroughly enjoyed by everyone! Time bound was a great way informal way of getting creative ideas to roam. 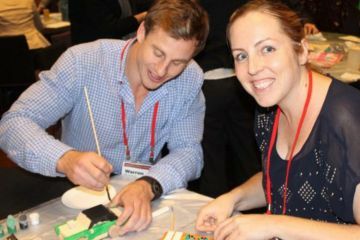 Great to see teams collaborating and communicating effectively achieve success.